QuickBooks online and QuickBooks desktop are the accounting software choices for business across Hampshire. Katara has provided QuickBooks training in Hampshire for over a decade. Initially focusing on QuickBooks Pro and Premier and now meeting the training needs of business and organisations using or moving to QuickBooks Online. The diversity of business looking for QuickBooks training in Hampshire means that we have experience in supporting Manufacturing , retail and service businesses looking to improve efficiency and financial reporting. By way of examples we have helped set up QuickBooks for a start up businesses launching new products to large retailers , put a stock systems that talks to QuickBooks into a distributor and fixed previous data entry issues for a business connecting to the Building sector. From Southampton to Basingstoke Hampshire businesses have benefited from our QuickBooks training courses. We also offer QuickBooks training further afield with customers in Berkshire, Surrey , Wiltshire , London and across the UK. Find out what our customers say about the QuickBooks training we offer and how we have helped them to make better use of QuickBooks or resolved QuickBooks related issues. 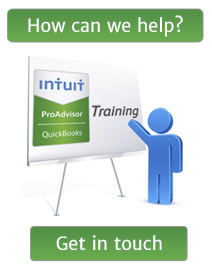 If you are interest in QuickBooks training in Hampshire contact Katara to discuss how we can help your business.